Whether you’re thanking someone for throwing you that all-important baby or wedding shower, or just showing a friend how much you appreciate them, it’s a good idea to get them a small gift in addition to your thank you. Wondering when it’s appropriate to send a thank you gift? Take something small to the host of that next dinner party, show your love to the best friend who hosted a graduation party or the friend who helps you move. We’ve talked about gifts for tea lovers and even gifts for book lovers, but these thank you gifts don’t depend solely on your budget. Make them, take them and your friends will appreciate you forever. Not sure what type of gift to give? We’ve got the best thank you gifts that won’t break the bank. Customize drink coasters for the perfect thank you gift! These classic coasters are something anyone can use and you can add a personal touch by personalizing with your favorite vacation photos — they are a perfect gift for a beach house or cabin host! Bring a simple yet beautiful design to a cookie tin with something as easy as noodles and macaroni. These handcrafted cookie tins utilize raw pasta to craft a clever design that is limited only by your imagination. 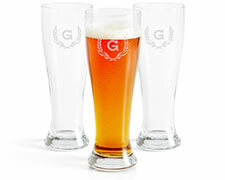 Custom cups and mugs are ideal gifts no matter a person’s beverage preference. Style your own stainless steel mugs or order customized travel mugs for that next family vacation. Seeking out a creative gift for the Harry Potter fan in your life? These handmade quidditch-inspired soaps may do the trick! Each one is slightly different for a creative gift your friends will love! Ceramic tile trivets are ideal gifts for the chef in your life. Trivets have a multitude of uses in the kitchen, functioning as serving trays to holding hot dishes. Rather than spend $8 on a thank you card, why not create your own bookmarks? It’s the best gift around for your favorite bibliophile. Choose from an unlimited number of designs or just add your favorite quote, a beloved poem or a relaxing image of your own. Nothing says thank you like a handmade bookmark. These custom coasters make the ideal gift for any home. Customize this handy household accessory and help preserve that specialty coffee table in the process. Mason jars have 1001 uses and are ideal for creating thank you gifts. Design your own with natural leaf decor using this easy decoupage method — it’s a gift that can be used over and over again! If you’re looking for a way to say thank you to the caring neighbor who brought that meal over last month, or the relative who hosted the holiday party, these handmade kitchen gift towels are perfect for any time of year! They’re an easy, fun way to say “thank you” or just tell someone you care. 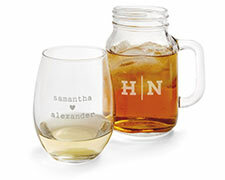 Make your own statement with these glass-etched mason jars that can be customized for any event or product. This is the perfect gift for anyone who hosts an event in your honor. These potholders are the ideal way to bring a hot meal to a neighbor as a thank you. Design one for the holidays or use fabric that says everything you want to say to a special someone. Say thank you to family and friends any time of the year with these stunning DIY ornaments. To create a spring or summer look, simply add flowers and pastel paints. Spring provides a great opportunity to decorate transparent eggs, which are available at your local craft store. Dog lovers can be difficult to shop for, but not if you think outside of the crate. These DIY leashes only require three items and you can create a fun, fashionable leash that your favorite veterinarian or animal care professional will adore. This is a perfect way to thank your favorite dog walker! Say thank you to the canine enthusiast in your life with a pet food storage container. Every dog lover will enjoy this way to keep their best friend’s food fresh and you can make it for pennies! Remember to use non-toxic paint and BPA-free plastic containers so nothing seeps into that expensive all-natural dog food. A coffee butter scrub may be the perfect thank you gift for anyone who has made your life a little easier. Encourage your recipient to take a day and self-pamper. Say thank you to a friend with Palo Santo bundles. This sacred wood is native to the Yucatán Peninsula. This wood is said to have medicinal and therapeutic healing powers that can translate into a beautiful “thank you for caring.” Learn how to make these bundles for clever dinner plating alternatives or an aromatic thank you gift. If your thank you includes a kiss on the lips, make sure they’re super soft and ultra-exfoliated! No need to purchase expensive lip scrubs — you can use granulated sugar and organic oils to create a scrub for men and women. It’s the perfect thank you that is sure to lead to a kiss! For the friend who loves to drink high-quality liquor, you can’t go wrong with these Daneson toothpicks. Each toothpick is American milled from northern white birch and hand steeped in Kentucky Bourbon, single malt Scotch and other classic liquors. It’s the ultimate gift for the bartender in your life. Twigs can turn the most ordinary item into something special by adding a rustic flair. These inexpensive gifts are ideal for housewarming parties, thank you gifts or just to tell someone you appreciate them. Thank a friend by creating a mini-domed cake stand that will keep desserts fresh for days. These also make ideal storage bins for office organization or can be used as kitchen decor. Create your own candle gift with a relaxing blend of your favorite essential oils. These unique gifts can be as special as the recipient! Add a touch of flair by customizing with something as simple as a rubber band. Incorporate springtime pastels with these DIY mini egg cup planters. The gradient design adds a fun, creative element to the project. Make in minutes and enjoy for years! These decorative hoops are ideal for any time of year or occasion. You’re only limited by your imagination! Using embroidery hoops and silk foliage, you can create a personalized hoop wreath that everyone will appreciate. Don’t throw those old books out! Once you’ve finished reading them for the 18th time and have somehow ripped the last dog-eared page from the spine, you can use it to create the ultimate book lovers gift bow. When you’re thinking of a “small gift,” it’s not often that miniatures come to mind. These miniature book chains are the perfect gift for the bibliophile in your life. Choose from their favorite titles or use this post as an inspiration to create miniature worlds of your own. Remember, a gift will never replace a good old-fashioned thank you note, so be sure to stock up on stationary! Traditional etiquette dictates a thoughtful thank you gift and letter, and we know the recipient will appreciate the time you took to write it.